The ‘Ban the Box’ campaign that is sweeping the nation is designed to reduce discriminatory hiring practices caused by automatically disqualifying candidates with a criminal record. Over the past decade, increasing amounts of cities, counties and states have stopped asking applicants about criminal history and changed the background check process. 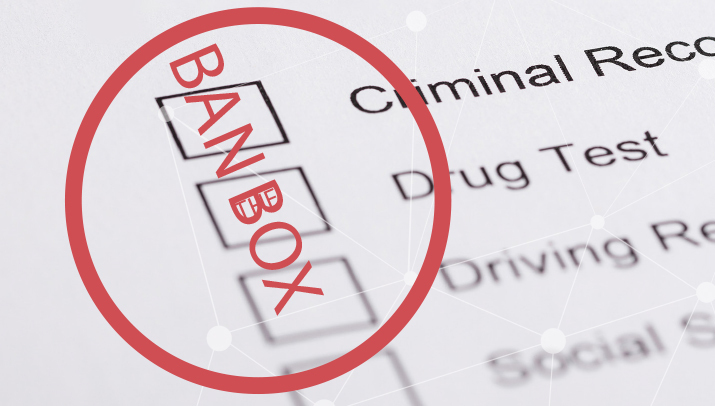 The two major changes to the hiring process from ‘Ban the Box’ can be seen in the job application and the onboarding process. As the name of the movement suggests, private and public employers have removed the portion of the job application that asks about criminal arrests or convictions. Most state and local fair hiring laws include a stipulation of when an employer may inquire about an applicant’s background. Most laws are holding these questions until a conditional offer of employment has been made, after the applicant has had a chance to interview for the position, or when an applicant is considered to be a “finalist” for the position. Similarly, most laws are requiring employers to wait until a conditional offer of employment has been made before initiating a background check or investigative report on the candidate. Thirty states have adopted a state, city or county law surrounding fair hiring procedures and specifically the ‘Ban the Box’ campaign. Many have enforced the law with public or state employers, and are moving onto private employers. The Equal Employment Opportunity Commission (EEOC) has also issued guidance on the subject, stating that it is “best practice” to hold off asking applicants about convictions on job applications. Many state and local laws have also included stipulations regarding how a criminal record is treated in the hiring process once it has been found. State’s fair hiring laws include requirements to consider the nature of the offense, the job, and the time elapsed since the offense. What do you need to do to stay compliant? Keep up on your local legislation and know where laws have already been enacted. Decide whether your company needs to ‘Ban the Box’ and change your background check policy.